Some 1 please post the Map again . 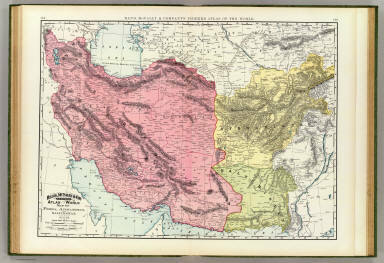 External Online Map : Central Asia (w. Baluchistan) 1841, posted by Columbia Univ. Stamps from Las Bela, Balochistan. The world is too dangerous to live in—not because of the people who do evil, but because of the people who sit and let it happen. Tao Satar Beband Bohtam o Bejan Tazhn.. Pa Goshag Washnaam Nabet Bannam..
Man Balochian Agan Man Bolotan Estaal Karan..
GREEN: It is the color of prosperity – the dry barren land of Balochistan turns green after rainfall as small plants sprout. Liberty is like rainfall, and when achieved, it will sprout the Baloch nation into prosperity. RED: It is the color of blood, hardiness and valor – the Baloch martyrs proudly sacrificed their life and shed their blood on the soil of Balochistan for liberty. BLUE: It is the color of ocean and sky, and it signifies vigilance, perseverance and justice – the Baloch will continue their struggle until freedom is achieved and justice is served. WHITE: It is the color of peace, purity and innocence – the Baloch people want to live in peace and harmony as a free nation. RISING SUN: It is a sign of a new beginning – the Baloch nation begins a new day as a free nation.